Undocumented migrants and asylum seekers/ refugees, who are considered to be “undesirable/prohibited immigrants”1 , under the Law2 may be only detained in detention centres declared by the Minister of Justice to be detention centres for the purpose of deportation. The only detention declared as such currently is the Menoyia Detention Centre for Prohibited Immigrants. Yet, in many cases and particularly, immediately after their arrest, they may be initially detained in any local police station. Detention at police stations should normally be limited to a few hours or maximum a couple of days, as these centres are designed only for very short detention periods and in any event they are not declared detention centres for the purpose of deportation. However, in some cases migrants are detained at police stations for longer periods of time. Unfortunately, the Civil Registry and Migration Department (CRMD), which is under the Ministry of Interior, continues to apply a policy of indiscriminately using detention of persons for deportation purposes, even for persons that they cannot be in principle deported because of their status, such as asylum seekers, EU citizens, members of the family of Cypriot or Europeans citizens. The main reason for the adoption and continuation of the aforementioned policy, lies in the fact that the Cypriot government considers detention not as the last resort, but as the main means of its immigration policy within which removal/deportation and detention of persons without legal status in the country play a central role, as a result of which the RoC has a very high per capita rate of deportees. 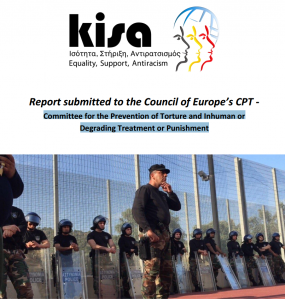 Since September 2015, in the framework of a project funded by EPIM3 , KISA has been carrying out systematic and regular visits in the Detention Centre in Menoyia in order to monitor detention of migrants. These visits are carried out by delegations of about 5 persons each time, including KISA’s executive director and counselling officer. In the visits, KISA’s members discuss with detainees about the problems they face there in general and register their complaints in relation to detention conditions (the quality and quantity of food, the available activities or lack of, etc.) as well as abuse of power or ill treatment at the Centre. Moreover, during such visits detainees have the opportunity to discuss their individual cases and/ or complaints, get information on any available remedies, and seek advice and/or mediation in relation to their cases. 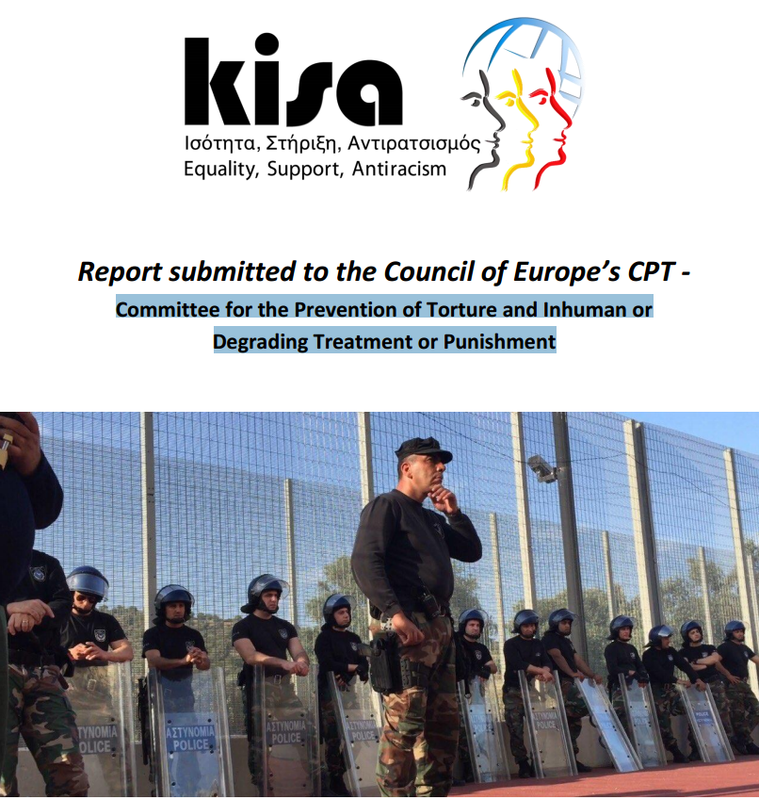 KISA visits confirm the poor conditions of detention in Cyprus and that detention for the purpose of deportation, contrary to the law, is not considered as a measure of last resort.